Join us for our annual “Big Game” pre-game show. Once again we will have Jonathan Carney, Vice President of Sales of La Flor Dominicana to preview the big matchup between the New England Patriots and Los Angeles Rams. Jon’s a big New England Patriots fan. La Flor Dominicana is also a company that has a tradition in creating a special cigar for “The Big Game” and we will learn about it tonight. Of course, we will preview the matchup and talk plenty of football. 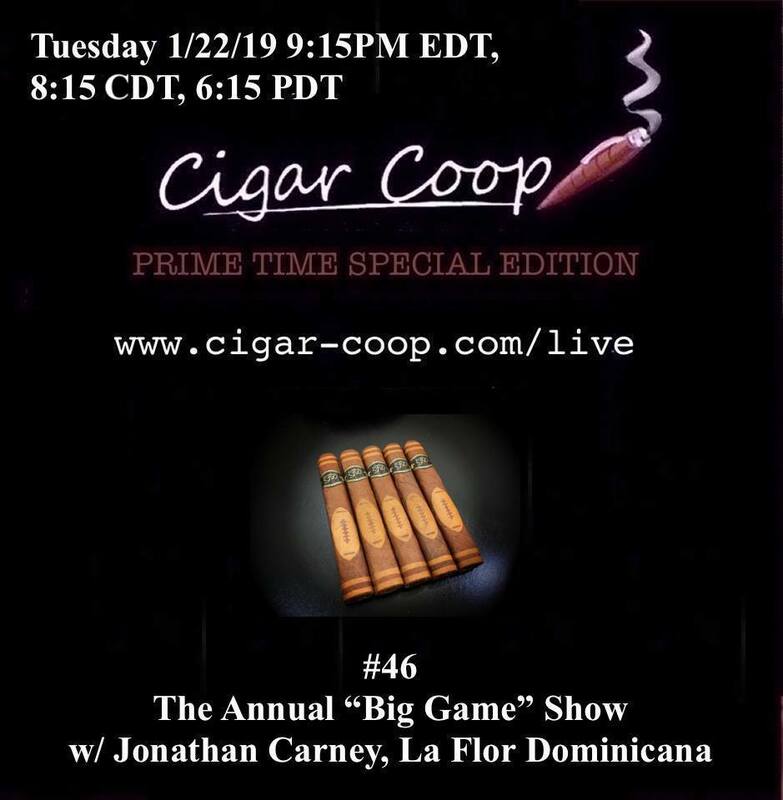 Plus, we will catch up on what’s happening at La Flor Dominicana and recap the Prime Time Award Winners for 2018. .